In the last 12 months, Kiwi food producers have affixed over a quarter of a million 2018 Outstanding NZ Food Producer Award stickers to their winning products. The local food market is highly competitive and food and drink producers are seeking the marketing edge offered by a strong quality endorsement to grow their brand and business. Third party quality endorsement is one of the most powerful tools we can use to build your brands and your businesses. The wine industry are leaders with wine competitions and wine writers readily available to assess, review and endorse wine quality. In New Zealand there are multiple wine shows and wine sites for consumers to seek recommendations on what to buy. Recognising the role of quality endorsement to the wine industry owners of Marvellous Marketing, Kathie Bartley and Nicola McConnell, identified the opportunity to establish a new quality awards endorsement programme for the rapidly growing New Zealand food industry, in particular to assess products from boutique food producers. 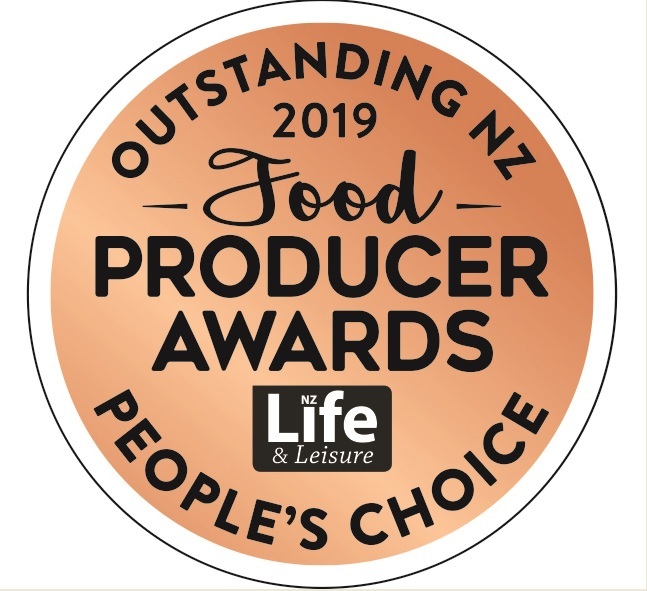 The Outstanding NZ Food Producer Awards was established in 2017 to provide a quality endorsement for outstanding New Zealand primary produce as well as food products that have been crafted for sale. In the first two years, judges in the Outstanding NZ Food Producer Awards have assessed over 320 products with a wide range of innovative producers acknowledged as category champions or as gold or silver medal winners. Clevedon Buffalo Co owners Helen and Richard Dorresteyn were 2018 Supreme Champions. We have enjoyed the publicity it has generated for our buffalo farm and dairy, the networking opportunities allowing us to build new friendships and cement existing ones. 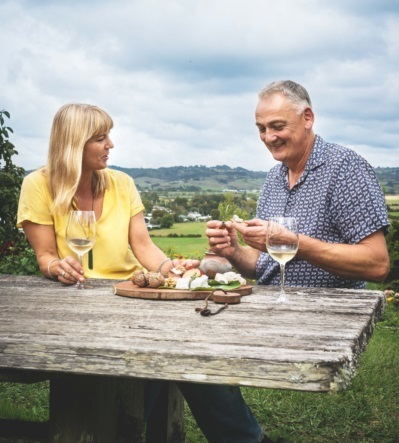 The Outstanding NZ Food Producer Awards have given us the confidence to continue to innovate with our cheese making, generated a huge amount of media coverage and made our staff, family and us immensely proud of what we do,” they say. In the first two years of the Outstanding NZ Food Producer Awards owner of Clareville Bakery, Michael Kloeg, has travelled from Masterton to Auckland to bring his product in the freshest possible condition for the judges to assess. His dedication has paid off and in 2018 his Miche Sourdough won the Champion Earth category, a gold medal and three silver medals. Michael proudly promotes his success using the awards sticker on his winning products which are sold on line and at specialty food stores around the country. Winner of the Water Category in 2018 Genevieve Knight of Genevieve’s produces of a range of delicious pates and salad dressings/vinaigrettes. The opportunity to showcase her award-winning product at the awards event and winner dinners has been another tool to help them with their marketing and has helped to grow their sales. It’s also helped to build relationships with chefs from restaurants who hosted the winner dinner events around New Zealand continuing to use Genevieve’s products as part of their menu. In addition to gaining quality endorsement from the Outstanding NZ Food Producer Awards our producers network and meet others who are facing similar challenges in growing a small food business in New Zealand. They share knowledge and help each other. Some collaborate to develop new products, the latest Oaxaca (pronounced ‘wah-hah-cah’) which Clevedon Buffalo Co put together after meeting Otis and Sarah Frizell owners of The Lucky Taco. Oaxaca is a Mexican-style string cheese, made from ribbons of fresh buffalo milk cheese wound into balls by hand. It is designed to be shredded into strings, and with its superior melting properties, it’s perfect for topping your favourite Mexican meal.